IMPA’s library is the reference library on Pure and Applied Mathematics in Brazil and is among the most complete in the world. 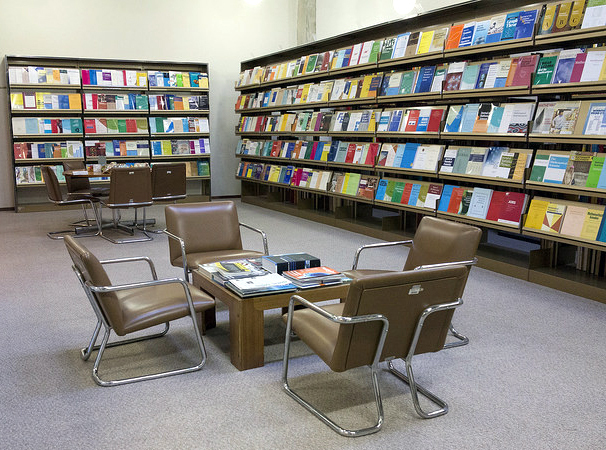 Its collection of 38,000 volumes of classic and modern books and 60,000 volumes of journals is available to the Brazilian scientific community. The online catalog is available on the internet. The library is open to the public. The loaning of books is restricted to researchers, teaching staff and students regularly enrolled at IMPA. Journals may not be taken out of the institute. The library is part of COMUT’s library network, a Library Exchange Program from IBICT. This program provides copies of documents from participating libraries, document centers and databases. Interlibrary loans are available to libraries in the Rio de Janeiro city area. For security reasons, access to IMPA’s facilities beyond working hours [8:30 to 18:00] requires previous authorization.